It’s certainly been an action-packed season. 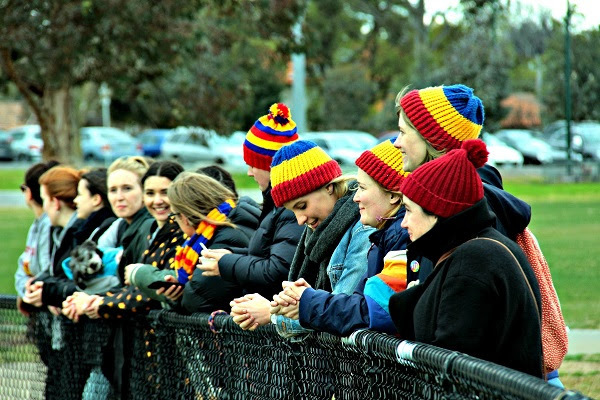 We’ve reached some great highs and experienced some really challenging times but, in the end, as is our way, Fitzroy survives everything thrown at us to remain one of the strongest and most community-minded clubs in the VAFA. And that’s due not only to the determination and loyalty of our players – from the Seniors, to the Reserves, the Thirds, our fabulous women’s teams and the courageous U19s – but to all our volunteers and supporters who’ve once again turned up in their droves to enjoy the spectacle and help keep our teams on the park every week. Obviously a highlight of the season was the performance of our Women 1 team and our Thirds, both making finals. As was the amazing support from our sponsors all year and the growth in our membership numbers. We have to acknowledge that in other areas it’s been a tough year. It’s fair to say in hindsight that we didn’t make it easy for the Under 19s coaches, players or parents by introducing a second team and being put in the grade we were didn’t make it any easier. On the other hand, it’s been thrilling to see so many of the U19s getting the opportunity and making their mark in the Senior side. With the retirement of a number of our Senior players at the end of 2016, and an injury plagued 2017 for more, we have clearly been in a redevelopment phase this season. Unlike in the AFL where this means you have to endure a series of unwelcome losses, in our competition, featuring relegation, the price of development can be dramatic. And we’ve learnt the harsh lesson that you can’t leave your fate in the hands of other teams. That said, we’ve enjoyed some spectacular wins against the odds over the journey and experienced some dogged courageous performances where we boys fell just short. Overall, we have been proud of the effort and can clearly see a great future for this young team, with its spine of older and more experienced players, as it develops into 2018 and we’re with them all the way. As a Board we’re about to go into a strategic planning process to set the path for the next few years. We’ll be looking for some key off field, as well as on field staff and attracting more great volunteers to help run the club run. So put your hand up if you’re keen! We’ll again be seeking a Coaching Director to help put a solid support structure around our coaches and help guide the Fitzroy football style. This week we have also begun the recruitment process for the Senior Coach. What we should never lose sight of is everything that makes our club great. At our core we are a proud and loyal football family playing an important role in our community. I’d like to say thank you to everyone who’s been involved with the Club this year. You’ve all played your part and we couldn’t have done it without you. Great football. Great community. Great culture. 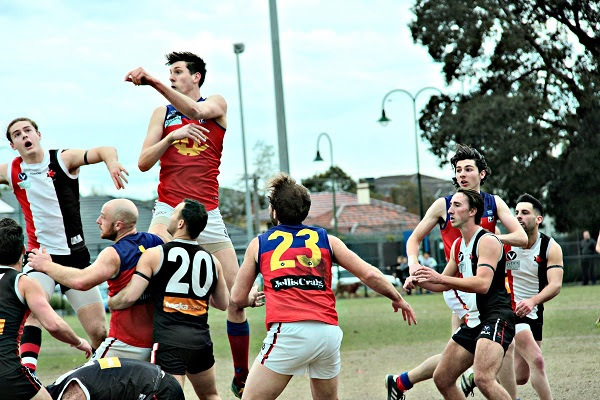 Fitzroy Football Club’s men’s teams will play in the Premier C competition of the VAFA in 2018 having lost out on a relegation battle by just 0.3 per cent. After a close, hard-fought battle all afternoon, the Senior side narrowly went down to Ajax in the final home and away game of the season, 9.22.76 to 10.9.69. 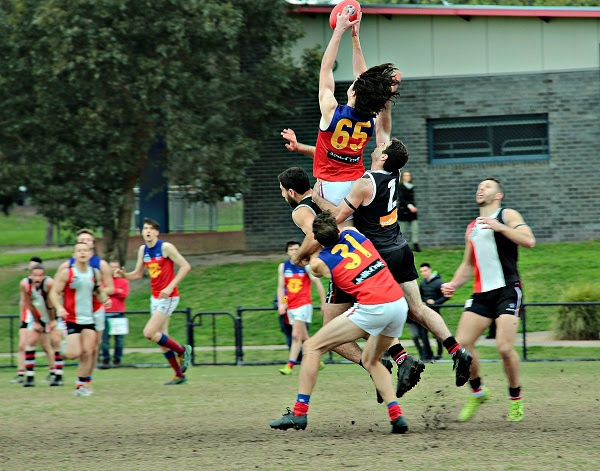 ‘Four goals to one in the final term helped Parkdale Vultures avoid relegation despite going down to Old Scotch by 35 points at Gerry Green Reserve. 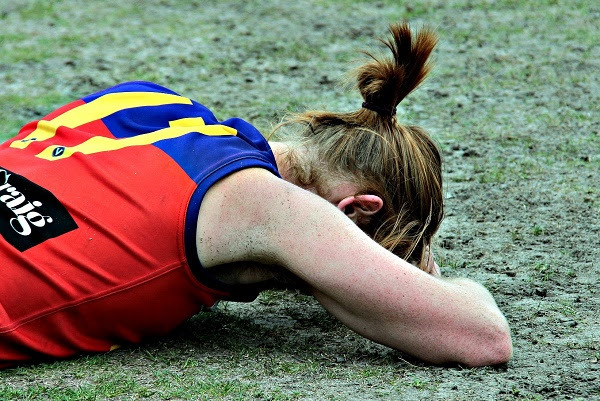 With 1.67% between themselves and Fitzroy in ninth spot on the ladder, the Vultures held on by just .3% after the Roys went down to Ajax by seven points. Nine points over the course of the season proved the difference between staying in Premier B and relegation. Jack Bull was best afield for the Cardinals and Jordan Clarke finished with three goals as they finish the home and away season in second spot on the ladder and get ready to face Old Brighton in next week’s second semi-final. Brayden Stevenson was the best for the Vultures who now reload on the back of five wins for the year. For Fitzroy in the final game against Ajax, the team did an incredible job, led by assistant coaches Bernie Carter and Archie Whiting. Some great goals were kicked by Jack Dalton (3), Luke Baker (2) and Nino Lazzaro (2). Their straight kicking kept Fitzroy in the game all day, while Ajax wasted many chances in front of goal. The best players in a very even team performance were Max Ellis, Luke Baker, Peter Baccanello, Will Fenton, Rory Angiolella and ruckman Matthew Gaite, who has improved out of sight over the 2018 season and played one of his best games for the club on Saturday. The Reserves did their level best to get the day off to a start for the Roys and got away to a flier with four goals in the first quarter and went to three quarter time with Ajax leading by just two points. In the end the home side ran away with a six goal final quarter with a strong wind behind them, winning 12.9.81 to 8.10.58. 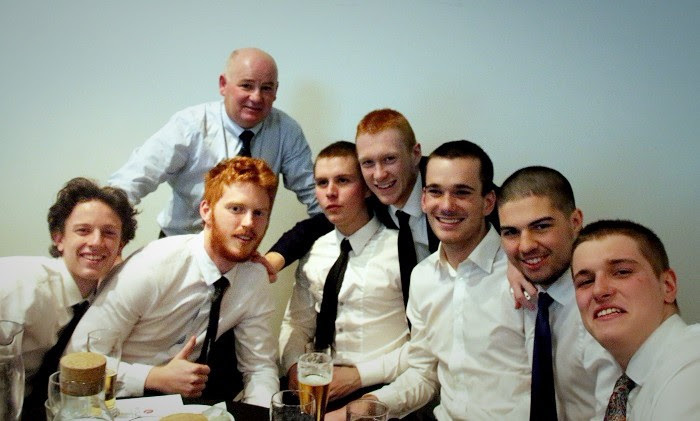 The Ressies said goodbye to teammate Tom Scullie, who was chaired off at the end of the game. Thank you for everything Skull. 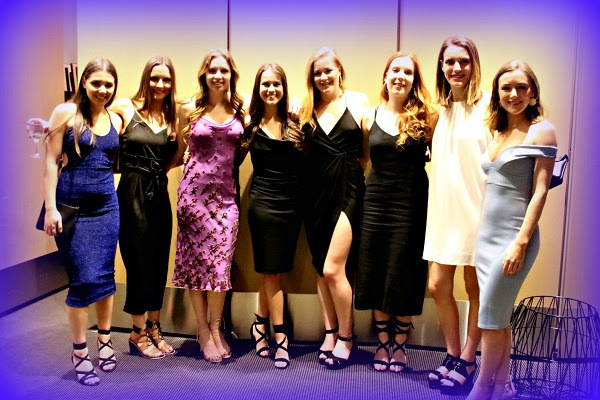 As we look back over a long, pretty tough season, we pay tribute to our loyal band of volunteers who, as usual – year in year out – get our players on the park and make us the envy of the VAFA. And all the one hundred and one things you do to make Fitzroy fabulous! Working on his photography skills, spending more time with family and hanging over the fence at footy games giving the umps the benefit of his wisdom, are just some of the ways Tim Bell plans to spend his time, having stepped down from Fitzroy’s Under 19 coaching gig. After 14 seasons coaching at Fitzroy – 11 of those with the Under 19s – Tim has decided it’s time to pass on the baton. “My first year of coaching was in 1993, when I coached the Fitzroy Reds Reserves team. 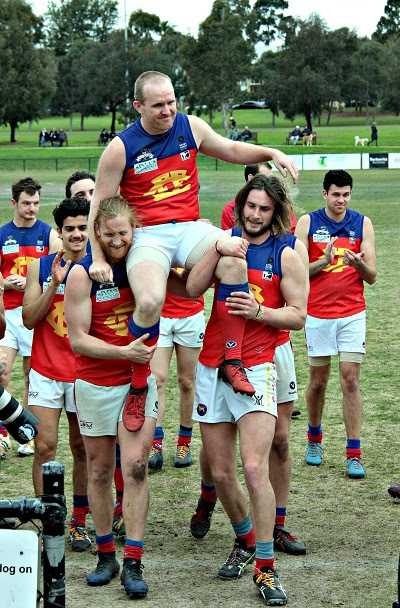 I did that for a couple of years, before a stint at Banyule and Brunswick Amateurs, before coming back to Fitzroy in 2003, the first year of our Under 19s. “I had a few years off here and there, but all up I've coached 14 seasons at Fitzroy. 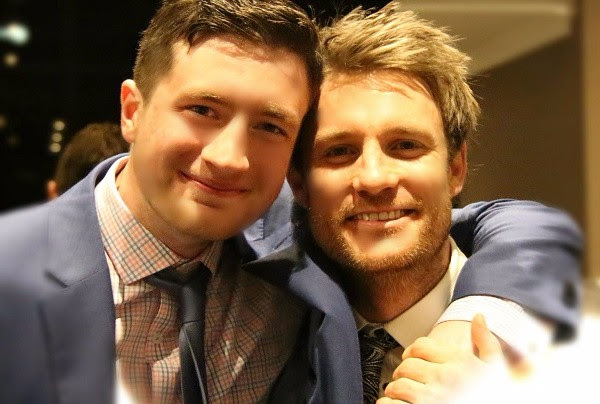 “When I came back to coach the 19s in 2015, it was because my son Matt wanted to come and play 19s at Fitzroy, so the plan was always to do just the three years he was eligible for. Matt started coming to Under 19 games with me when he was six and he wouldn't have missed more than a handful of games that I've coached since 2003. Unfortunately for him, after playing the whole year in 2015, he missed the last two seasons with osteitis pubis. It has been great to have the privilege of coaching the 19s again and I will miss it for sure,” Tim said. It’s clearly been a challenging decision for Tim, who’s always brought a passion for coaching and for developing his young charges. As he departs, he has a message for the Unders making their transition to senior footy. “The time is later than you think. In a blink of an eye, your playing days are over, so make the most of every training session, every game and every season. “Make an imprint on this club and continue to make it great. Carpe diem!" The Red Roy team is pretty sure it’s the club that owes Tim an enormous thanks for everything he’s done for us, but he has some thanks of his own and it’s no surprise that family comes first. “There are too many people to thank by name; I'd forget somebody really important if I tried to do that. I would like to thank my family for allowing me to do this for so long, in particular my wife Amanda, who has been my number one supporter since I started coaching and has spent many training nights and match days looking after the kids. I couldn't have done it without her. Any success I've had as a coach is definitely a shared success with her. “I'd also like to thank the various committee and board members over the years that have trusted in me to coach the 19s, as well as every player I've had the pleasure of getting to know and coach,” Tim said. With some balance restored, it is clear we’ll still be seeing Tim down at Brunswick Street from time to time. “The plan is probably just to be a spectator (one of those ones that hangs over the fence, abuses the umpire and knows everything.) I am also looking forward to dusting off my camera and going head to head with Phyllis at some games! “As far as a message, it's probably as simple as ‘I'll see you at the footy, GO ROYS!’." See you there Tim. The official B&F may be several weeks away but the Tram Conductors have awarded their best player for season 2017 and by a very narrow margin the winner was Nino Lazzaro. Nino gave a lengthy acceptance speech after the award presentation and if you believe that, you’ll believe anything! It’s been a pretty big week for Nino, who has also been shortlisted in the top 6 for the VAFA Rising Star award; what an impact in his first season of Senior football. 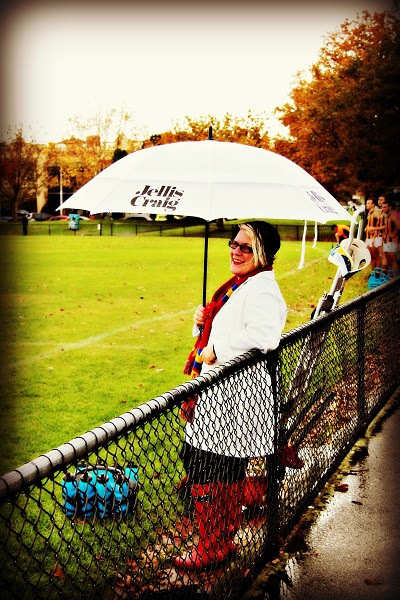 Thanks to the Tram Conductors for your passionate support and strategic use of Jellis Craig umbrellas throughout the year (no better product placement behind the goals). Congratulations Nino and now let’s see how he fares in the Greg Roughsedge Perpetual Trophy count at the Redlow (see below for Redlow details). There could be some pretty stiff competition from his backline colleagues. Ok so the information you’ve all been waiting for…. The Redlow for 2017 will be held at the Regal Ballroom in Northcote but the date has changed. The Redlow will now be held on Friday 6 October. Details and ticket bookings will be posted widely in the next few days on social media and the website, so get in early. This is the night where we award the best and fairest trophies for the winners in every Fitzroy team. Get along and support your team mates and see who takes bragging rights. It’s also a night for a bit of glamour. We will award the Under 19 (2) trophy for the first time since 2010 and there should be a very hot contest for Thirds and Women 1 trophies with such an even performance from the finalists. Players, coaches, parents, sponsors, partners, volunteers and friends are all welcome, so please book your ticket as soon as possible.